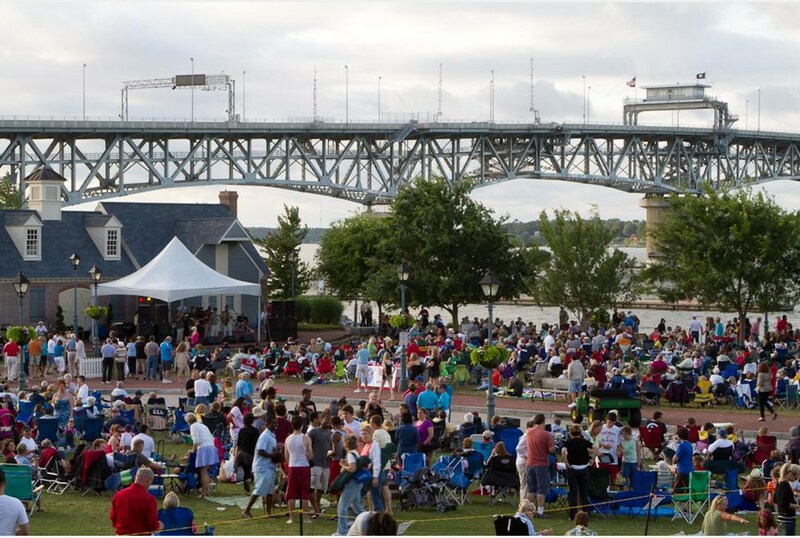 Port Warwick LIVE on the Square – Pack a snack, grab your lawn chairs and enjoy live music Wednesday’s from 6:00pm-8:00pm at Port Warwick, Newport News. Click here for the band lineup. Thursday’s by the Lake -Summer Concert series (beginning June 6) from 6:00pm-10:00pm at the Mariners’ Museum. Plenty of vendors to offer a variety of festival foods, a fine selection of wine, and cold beer to quench your thirst! And new this year is a high-rise mobile stage where all the bands will perform! Food ($) and beverage ($). Click here for band lineup. Shagging On the Riverwalk – Put on your dancing shoes and join us for this annual concert series, Thursdays (beginning June 6) 6:30pm – 9:30pm. Enjoy some of the area’s top acts playing beach favorites, oldies, and Motown. Live demonstrations and lessons by the Colonial Shag Club. Bring lawn chairs and blankets for seating. Riverwalk Landing. Free. Click here for the band lineup. Fridays @ The Fountain – Begin your weekend each Friday at 5:30pm at the City Center at Oyster Point and listen to the region’s best bands! Bring your friends, family, lawn chairs, blankets, and dancing shoes. Free Admission. Free Parking. Food ($) and beverage ($).